When England gaily waved its troops off to fight the First World War in July 1914, everyone confidently predicted it would be over by Christmas and everything would soon be back to normal. That’s broadly how charity chief execs are viewing the investment in digital strategy and resource, according to the heads of digital at some of the UK’s leading charities. There’s a sense that we need to pay a bit of attention to this digital malarky at the moment, but once the job’s done we can get back to business as usual. The challenge for those leading digital strategy is to bring charities to the understanding that they’re in it for the long haul. Many fine digital strategies have been created with the vision of embedding – or in one case ‘inculcating’ – digital into the organisation, but now it’s time to deliver that ambition. 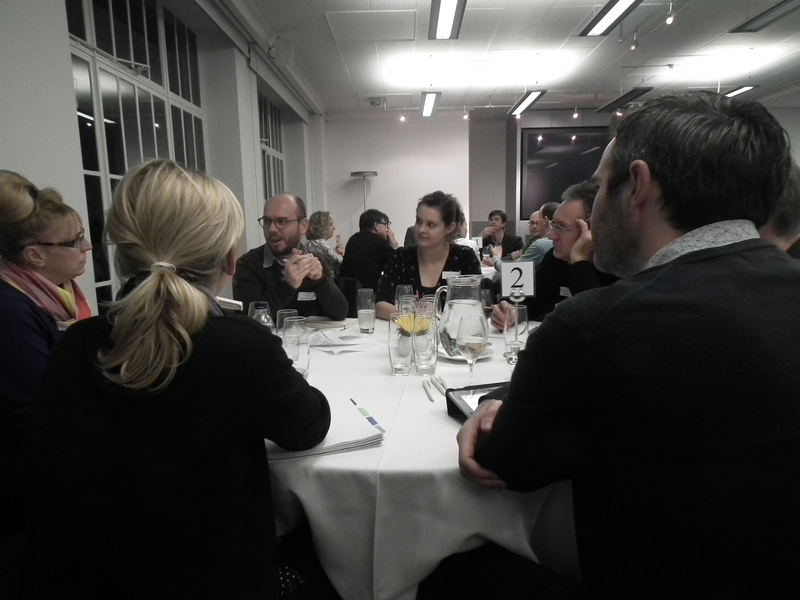 How to implement your digital strategy was the discussion topic at the March CharityComms/Cogapp Heads of Digital networking event. The event coincided with the launch of Cogapp’s report Leading Digital Transformation which sets out six key ways charity chief executives can help their organisations prosper in this digital age. The discussion considered how to secure ongoing senior management commitment and buy-in for your digital vision. How do you foster a collaborative working environment with colleagues in other parts of the business? What tactics can you use to unblock barriers? And how do you balance the competing priorities of delivering the strategy with business-as-usual demands on your resources? When it comes to implementing the strategy, the crucial thing is to involve the senior management team from the start. Ideally the corporate/organisational strategy should come first, with the digital strategy firmly tied in to delivering organisational goals. The role of the digital team is to enable and allow others to do their jobs, but arguably there should also be the whiff of the revolutionary about it. Digital should be the innovators, embracing the elements of disruption this entails. When it comes to delivering digital, you need a mix of tactics, both top down and bottom up, guerrilla and conventional. For example, it’s a good idea to find a champion or patron on the senior management team to support you. Identify their interests and map your digital activity to them. But don’t invest too much in single individuals. If they leave, all that relationship-building goes with them. A combination of lobbying both individuals and cross-team works best. Some digital leads are able to attend regular meetings with the senior leadership team and keep them abreast of activity and plans – although one ruefully admitted that at best only 25% of those listening were engaged. Others create cross-directorate groups – one charity’s Digital Management Group (DMG) is known internally as OMG. Different approaches emerge depending on who holds the budget. One digital head develops and agrees shared targets with budget-holding functions such as fundraising – my idea, your budget, our targets. Others have the role of digital budget police, with other teams pitching their ideas in a kind of digital Dragon’s Den. In this instance, nothing gets done without digital’s say-so. Of course, being the gatekeeper to digital activity doesn’t always fit easily with the ultimate goal of embedding digital literacy throughout the organisation. Digital still needs to make the switch from an implementation service to a driver of strategy. You need to be a combination of strategic leader, sense-checker, facilitator, enabler, reigner-in of over-excitement and results-deliver. But digital leads aren’t alone in this – ask any comms director or brand manager and they’ll recognise the challenge. Implementing your digital strategy also entails the acceptance of a sensible level of failure. You can’t innovate without taking risks and you can’t take risks without occasionally calling the wrong shot. One charity described it as a policy of “throwing the organisation at the web and seeing what sticks”. But as another digital head pointed out: it’s fine to accept the odd failure if you’re doing something new. If you fail at something you’ve done before, that’s not a failure it’s a muck up (or at least I think that’s what he said…). As with any function that doubles as both driver and service, getting the balance between looking beyond the horizon and dealing with the daily churn is tough. There is a real politik within charities that money talks. The gloomy economic climate provides a potential hook for conversations at a senior level: use cost-savings generated by digital (for example in terms of reach, internal efficiencies, procurement) as a lever to open doors. But be careful to balance this with clear evidence of the opportunities digital provides – no-one wants to return to the bad old days of seeing digital/social media as a free resource. One final piece of advice is to give your senior management team something to demonstrate success – a strategic quick win. This could take the form of a ‘shiny show-home’ project, or something less obvious where the impact of digital would be unexpected. Test your strategy with small pilot projects to demonstrate success. Above all, create a narrative around digital, a story to share. In the end, it all comes back to communication.